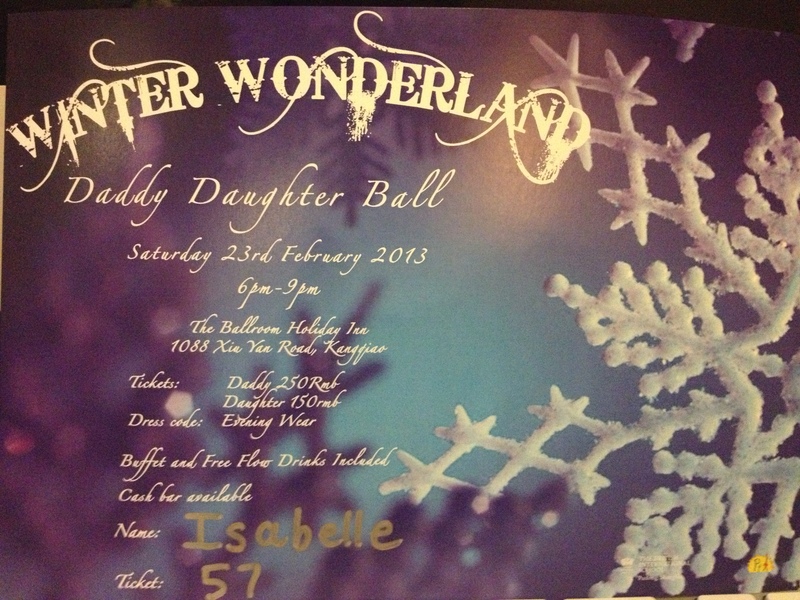 Saturday night was the Winter Wonderland Daddy Daughter Ball. This is one of the premier events that the PFA (Parents and Friends Association) of BISS organize each year. 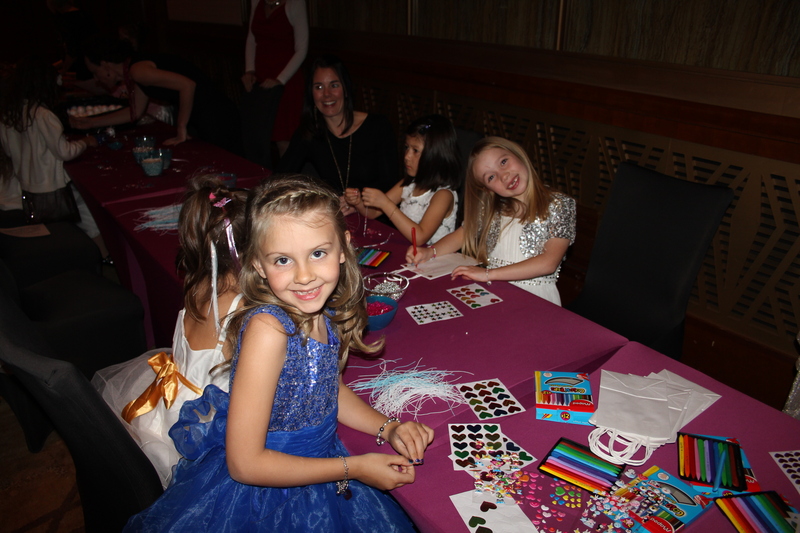 The girls absolutely love this event and have been talking about it since Christmas! It is held in the ballroom of a local hotel and is very fancy – full black tie evening wear. No mums are allowed. Isabelle had designed her own dress and we had it made at the local fabric market. 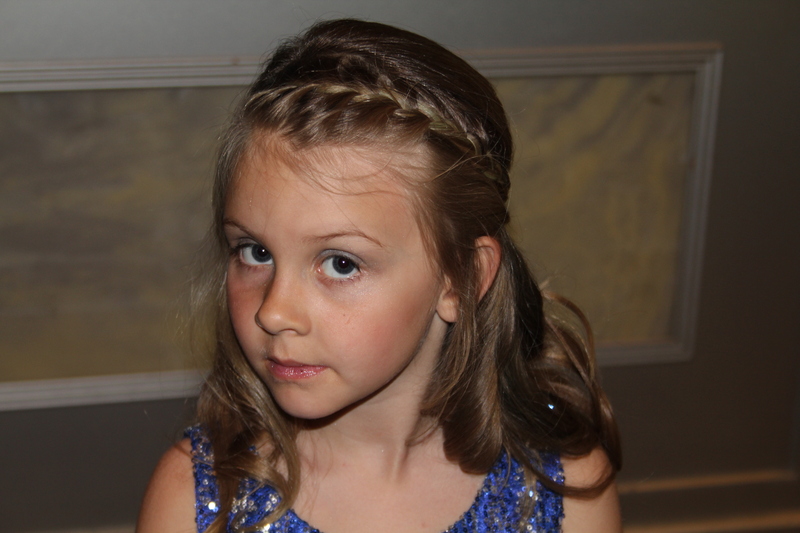 It is so cheap to do this and her finished dress was less than £60/$90. It was absolutely stunning. Saturday morning dawned and Isabelle and I were off to the hairdressers so she could have something fancy done with her hair. They french braided the front of her hair and then curled all the rest. It was so pretty. I told her that she could not do anything else for the rest of the day so it would not be ruined! 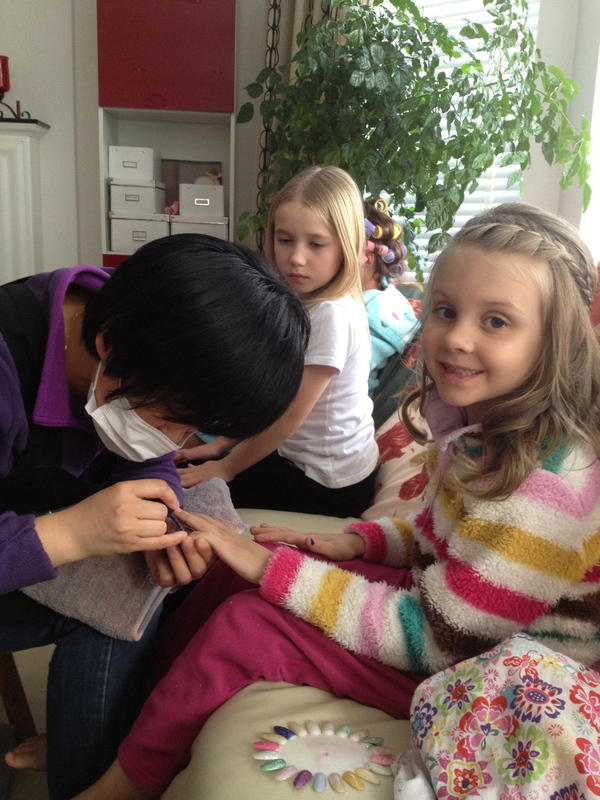 Later in the afternoon, she was at her friend Maddies’ house where 4 of the girls all had their nails painted. 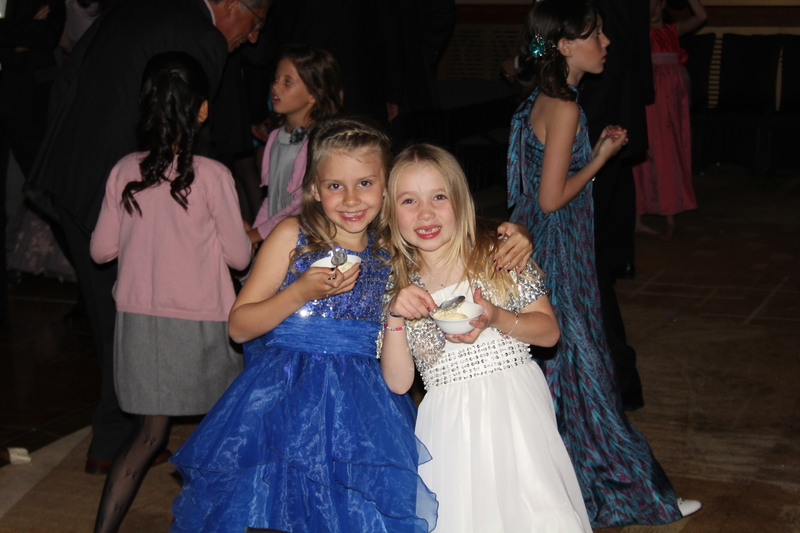 Of course, Isabelle had to have blue nails to match her dress! 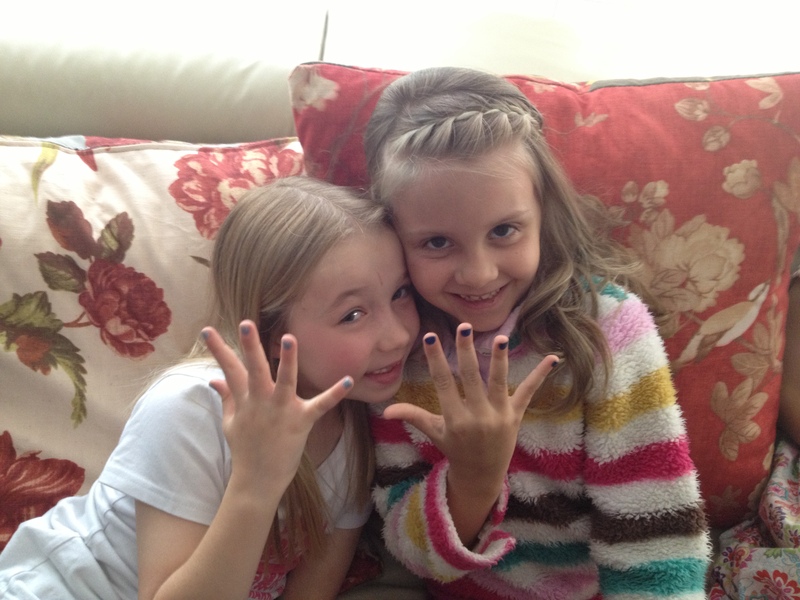 Ava and Isabelle showing off their painted nails. 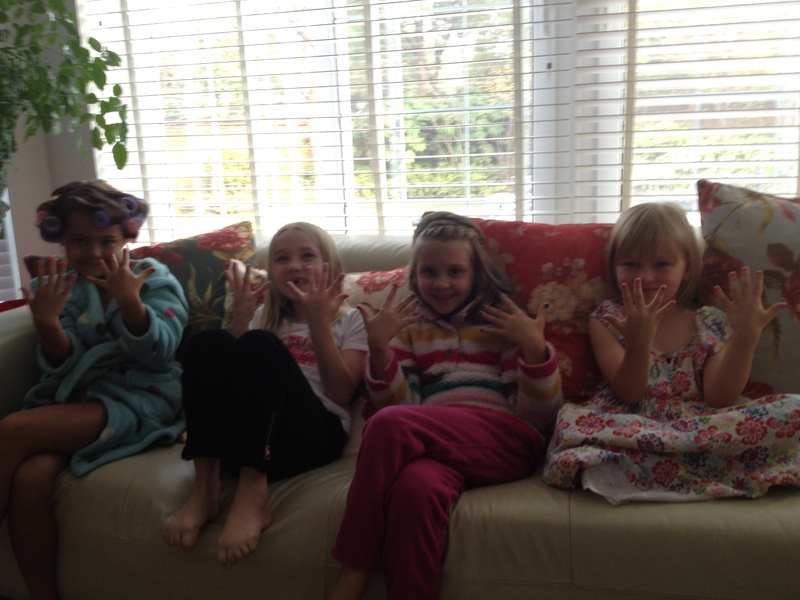 All the girls displaying the finished effect! Maddie (with curlers in! ), Ava, Isabelle and Amelie. Isabelle was so excited about this evening. She could not wait to get into her dress. I helped her get ready and then she walked down the stairs to her handsome prince – Daddy (who looked more gorgeous than James Bond, in his custom made tux!). 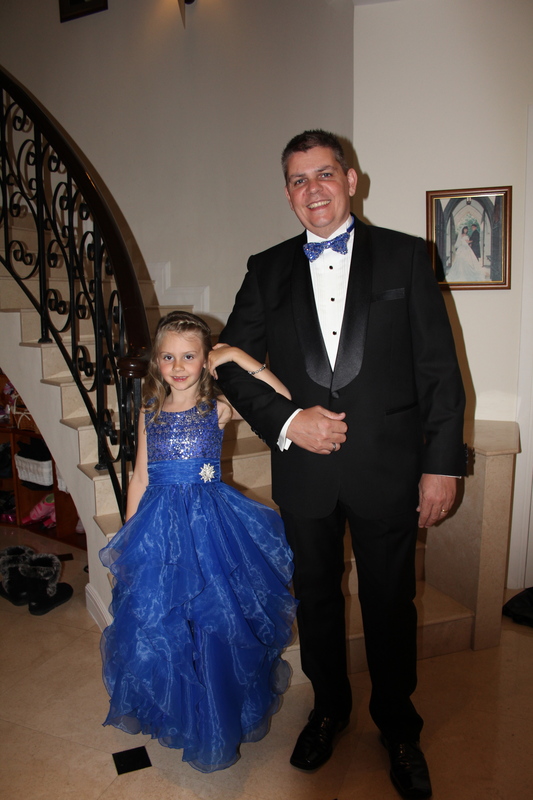 Daddy was suitably impressed with his date for the evening. Owen (Bond, Owen Bond) and our lovely, beautiful daughter. Beautiful dress (designed by Isabelle). Owen’s bow tie is a perfect match to her dress too! 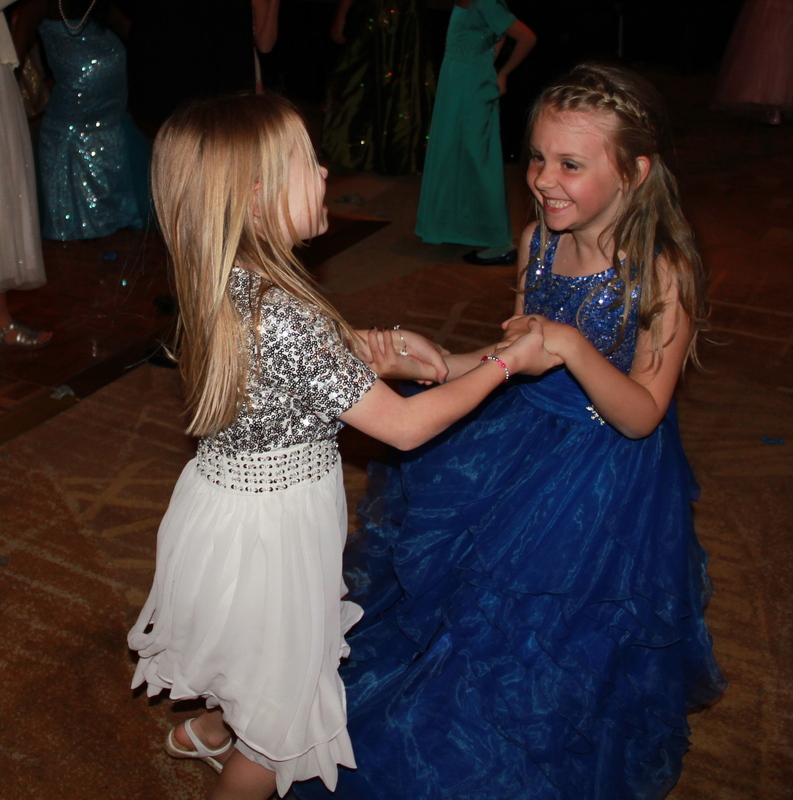 Girls on the dance floor together. Pure fun written across these 2 faces. Ice cream at the end of the night. 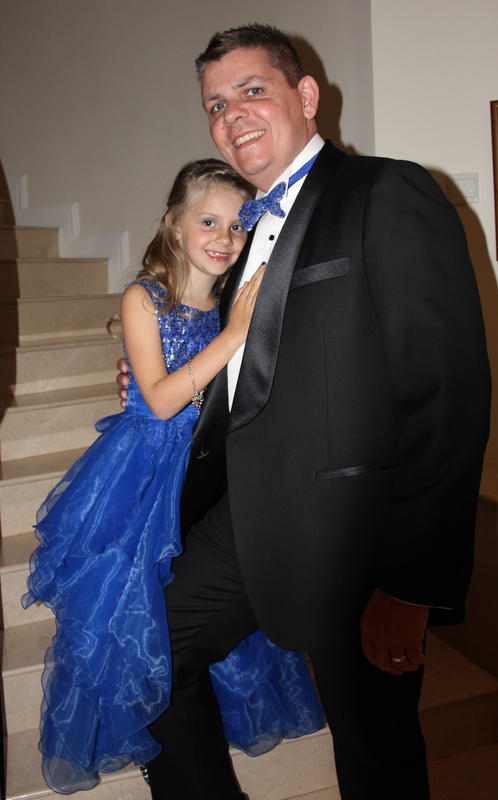 While Daddy and Isabelle were having a fabulous evening at the Winter Wonderland Daddy Daughter Ball, Oliver and I were at Suzanne’s house along with all the Mum’s and boys who had been left behind!! We had a lovely evening – Oliver played with Ethan and I caught up with friends old and new. 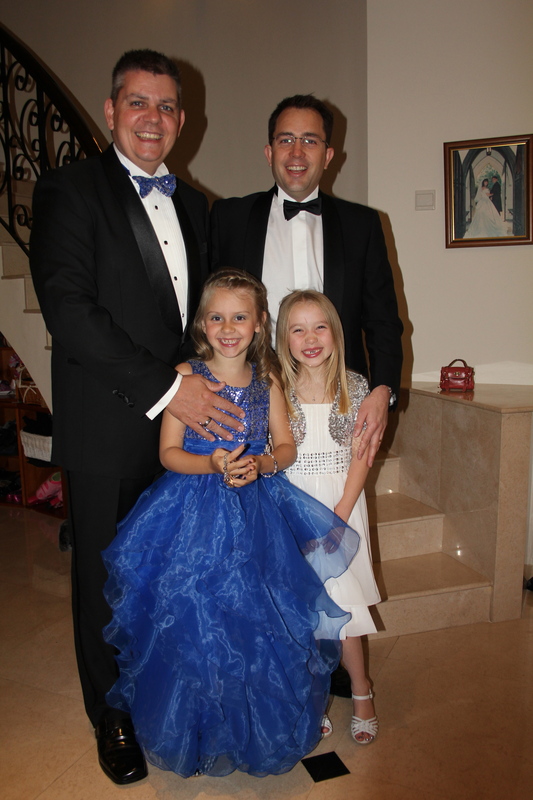 All the Dad’s and daughters arrived at 9.30pm and it was fantastic to see all the beautiful dresses on the girls. All the men looked good in their evening wear too! 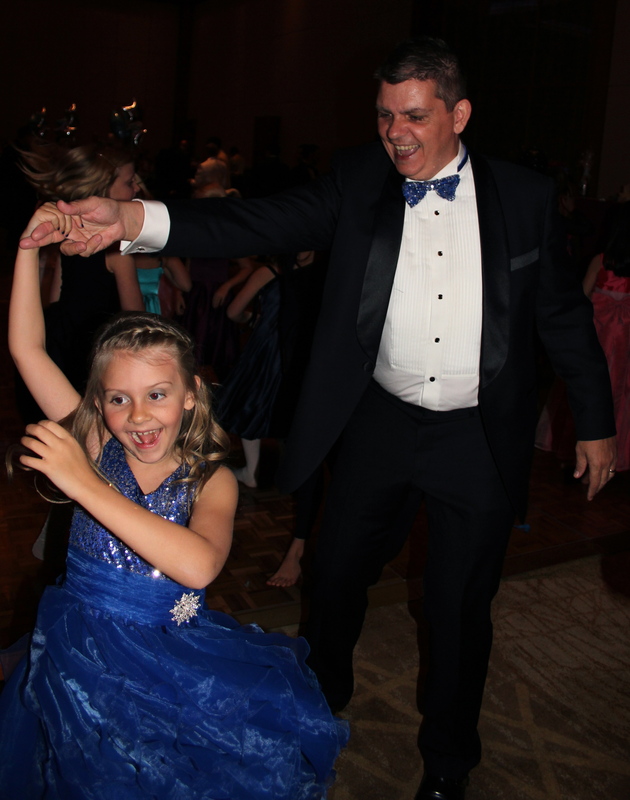 This entry was posted in Uncategorized and tagged BISS, Daddy Daughter Ball, Kids, Owen. Bookmark the permalink.